Many people know what Murano Glass is. It’s not a coincidence that Murano glass creations are renown all over the world. You may have already seen creations of Venetian Master glass-makers. You may have seen them on television or maybe in art and fashion magazines. Maybe you have seen them in a jewelry store showrooms or maybe at a relative’s or friend’s house. In other words, Murano glass is used for the most unique productions not only from Venice and Veneto but from the entire Made in Italy line. 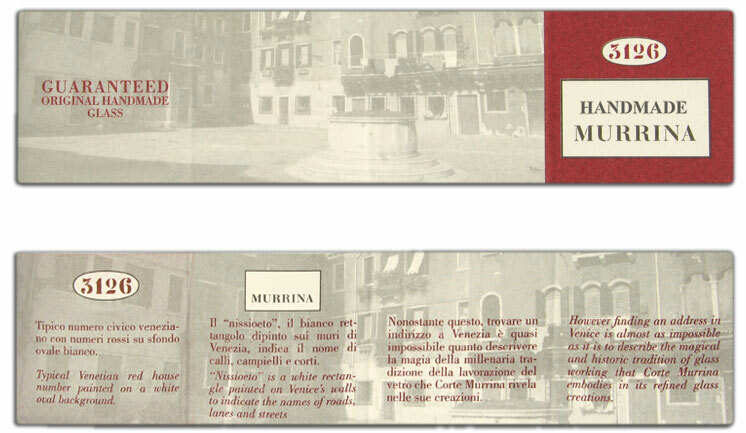 Objects and jewels of great elegance and admiration are made of murrinas. A murrina is a glass bead with a geometric design obtained by cross sectioning a glass rod, they are then melted together to create a surface. They are sold all over the world. The Master glass-makers’ artistry doesn’t know limits: the Venetian art of glass craftsmanship has been famous for centuries in five continents. Let’s start from the beginning. Before I talk about the magic that Venetian masters are able to do with Murano glass, let’s take a quick step back into history. Let’s understand when the murrina was born and how this tradition found its place and prospered through the centuries in Venice. Discover our authentic hand-crafted murrina products! To talk about Murano Glass’ history, we have to begin a very long time ago. Before Romans took over most of the then known world, the area where Venice rises now, had a very important commercial role. This was due to its favorable location that positioned it in the middle of an ideal crossroad, known to all the merchants that cut through the high Adriatic Sea with their ships. In this scene, Murano glass was one of the most traded goods by Venetian merchants and time solidified this trend. Murano glass witnessed a peak of popularity in the Middle Ages. In fact, the earliest documents that involved Venetian glass art are dated 982 A.D. It is then that the glass murrina became popular. Exactly in the Middle Ages is when glass artistry started being deemed valuable. Consequently, Venetian glass-maker masters who were at that time already traditional great artisans, saw a peak in the appreciation of their precious glass artworks. Where did all these glass craft-work techniques originate? To put it simply, Venetian master glass-makers learned a lot from the glass workmanship techniques used in Asia. They didn’t just copy those techniques, they developed and molded them according to their personal tastes and their abilities. It was then that Murano glass as we know it, came to be. It is a wise meeting point between Oriental techniques and Italian imagination and creativity. no glass witnessed a peak of popularity in the Middle Ages. In fact, the earliest documents that involved Venetian glass art are dated 982 A.D. It is then that the glass murrina became popular. Murano Master glass-makers contributed, for example, to the use of different colors and the creation of items distinguished by one unique characteristic: style. Murano glass is perfect for artistic hand crafting: it is in fact a material that is extremely malleable while crafted at high temperatures. Venetian artists were then able to create the shapes and colors that dictated its world wide success. Through the centuries, Venice developed sophisticated techniques to forge and mold glass. So much that in the fourth century the names of Venice and Murano became synonymous of high quality artistic glass. But why did Murano, of all places, become the location for this hand crafted artistry? The reason is simple: many glass workshops rose on the Island of Murano and in 1291 Venice decided to dismantle all the other glass workshops in the city - to minimize fire danger - leaving to Murano the privilege of becoming the only island where glass would be made and crafted. This is why we have been calling it Murano glass and not just Venetian glass for the last thousand years. During the Renaissance, the artistry of master glass-makers was already well known. Murano glass was so renown that it was sought after by popes, kings and court nobles. In other words: the richest people chose the only glass that would really emphasize their wealthy status, which was the one that was made in Murano. A specialised school rose on the island and the art of glass crafting was passed on from generation to generation. In the Seventeen hundreds the Republic of Venice was declining - its end is dated 1797 - but Murano glass was untouched by the crisis. Actually, there was a little decrease in demand but in the second half of the Eighteen hundreds this art was rediscovered and Venetian masters started being appreciated again. Quickly their jewelry and decor in murrina glass are again a symbol of elegance, prestige, finesse and design. The centuries passed and Murano artisans still use those centuries old techniques of murrina crafting.They use them for everything: from contemporary glass art to Murano glass figurines, chandeliers and jewelry. Today Murano is where many workshops and single artists’ laboratories are located, they craft all sorts of items from those intended for mass marketing to the eccentric glass masterpieces. What is remarkable is that still today, Murano is an expression of true art. Venetian artisans devote their passion to glass artistry, they are unwilling to serial mass produce and still use antique furnaces. This implies that every glass object made in Murano has its own unique and unrepeatable beauty that is unreproducible by any other master Venetian glass-maker. Mass production never reached Murano and everything remains at a hand crafting level as it was a thousand years ago. Discover our handmade products made of real Murano glass! Let’s begin by explaining how generally speaking Murano glass is made. Glass is made of silica, a material that liquifies at high temperatures. When the glass transitions from its liquid to solid state, there is a time frame where it is extremely malleable. At this point the master Venetian glass-maker molds the object that he wants to create. In Murano glass, other materials are added to the silica, they are necessary to keep the glass soft while its temperature lowers. For example, the more sodium oxide is present in the glass the slower it solidifies. This is an important factor for Murano glass hand crafting because a slow solidification of the glass-like matter allows a wider time frame in which the glass maker can work and mold the material. - Sodium that gives a matted look to the glass surface. - Nitrate and arsenic that get rid of those annoying bubbles in the glass. - Pigments that create those beautiful Murano glass colors we all recognize. Every master glass-maker uses a different formula for his glass. Each one has his own interpretation of murrina craftsmanship and has developed his own crafting techniques. The colors, the techniques and materials used may vary based on the final result that the glass maker wants to achieve. This is one of the main reasons why Murano glass is actually considered true art. Generally speaking, Murano glass making is divided into two phases. In the first phase the fundamental glass materials are merged. This fusion takes place in special ovens and it results in a glass mixture that will be later crafted by the master glass-maker. The second phase consists of the actual glass molding, its shape is created and it is transformed into an object. This truly is the artistic phase because it is when the exquisite murrina glass creations are brought to life. The second phase includes processes that are completed when the Murano glass is cold like decorating, engraving and polishing. Discover our authentic handmade murrina products! We talked about Murano glass production in wider terms and now we’ll elaborate how murrina glass is made, particularly in the Murrina.it workshop. Murano glass is obtained from an entirely hand made glass cane. This way of handcrafting is one of a kind and is known only on the island of Murano. The glass production process has different steps that involve exclusively handmade techniques. Carrying out these techniques implies crafting a cylindrical rod-like shape to the murrina glass by repeatedly marbling it on a flat metal surface called the “bronzin”. Our Murano glass working techniques are antique and have been refined in the early Nineteen hundreds. To help you better understand the uniqueness of our creations you must know that the techniques used by our Venetian glass making masters is currently only known on the island of Murano and its application is being passed on from father to son due to its complexity and rareness. Hundreds of years have passed but still today these workmanship techniques remain the only way to make a real Venetian murrina glass cane, by being faithful to the same centuries old artisanal process. Objects of great elegance take shape that are truly unique and original in their unmistakable style. But that’s not all. We can affirm with certainty that only two companies in the world are able to make the Venetian murrina glass cane. One of which is ours. We find ourselves being able to satisfy a small portion of the requests we receive, simply because we try to keep unaltered the delightfully artisanal level of our work. Also, Venetian glass-maker master is a job that has been overlooked over time and Venetians have started taking other paths. Therefore the quantity of Murano glass that we can produce is limited and reaches only few clients. All of this has a positive consequence for Murano glass aficionados. Every item we make is a genuine work of art, valuable, unrepeatable and unique in its kind. Serial production will never match the quality that the objects made by Venetian artisans will bring into your home.The beauty of the Venetian murrina has the great advantage of giving a noticeable touch of elegance to your house. None can claim better glass quality. In the video shown below, you may enjoy our master glass-makers crafting techniques. You can imagine how many years of experience are needed to handle all the secrets to creating objects of authentic Murano glass. Discover our hand crafted authentic Murano glass products! Our Murano glass is sold with a certificate of authenticity. All the creations in Murano glass we craft are certified. We guarantee that everything we produce is 100% made in Italy, since we only use raw materials that are manufactured by craftsman in Italy. But there’s more. All our metal components are nickel free according to legislation 94/27/CEE and every item comes with its own box and a certificate of authenticity of Made in Italy Murano Glass. In the picture below you may see the boxes that protect your fashion jewels. You can also overlook a copy of the certificate of authenticity associated with the product. Discover our artisanal products in authentic Murano glass! 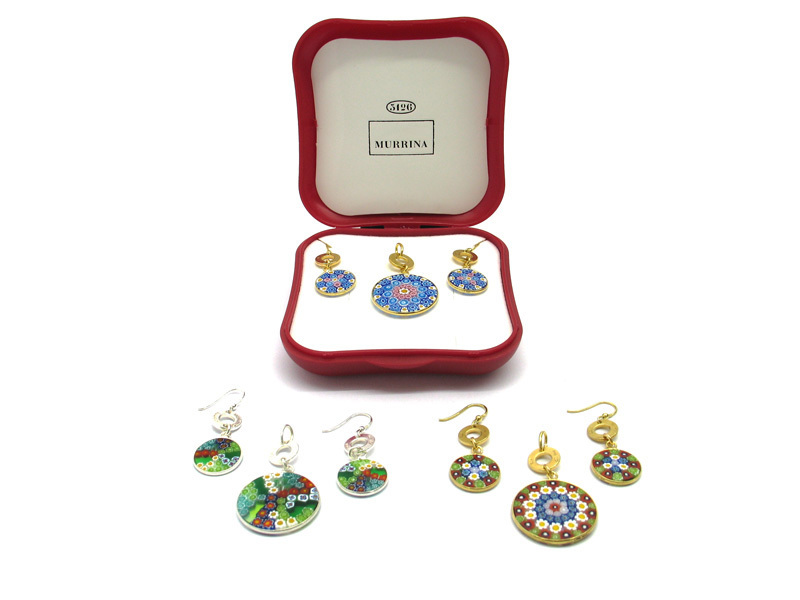 Our master glass-makers craft Murano glass in different ways achieving artistic fashion jewelry. 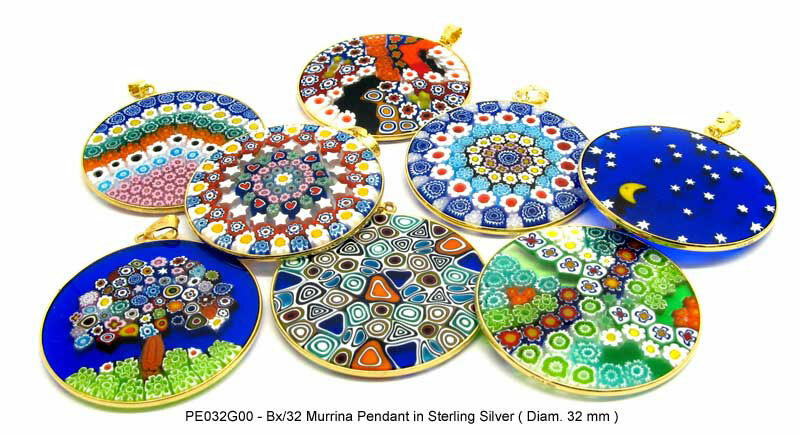 Our product selection is appreciated all over the world, in fact Murrina.it claims clients from 57 different countries. We want to share part of our production to show the high quality of our creations in authentic Venetian glass. Our authentic Murano glass products are all able to distinguish whoever wears them. An article in Murano glass makes a woman stand out compared to all the other women that are wearing costume jewelry or accessories. This is the difference between being noticed or being labeled as costume and undistinguished. It is wonderful to be able to express the colors that represent ones individuality and femininity through such beautiful and elegant objects like the ones crafted by our Venetian master glass-makers. You may have noticed that women that have taste and style deem even the smallest detail of their personal appearance extremely important. They consider the details that other women overlook as essential. A Murano glass jewel confers a certain uniqueness to the appearance of whoever is wearing it. Therefore, treating yourself to a one of our certified murrina jewels is a good way to celebrate your elegance and individuality. 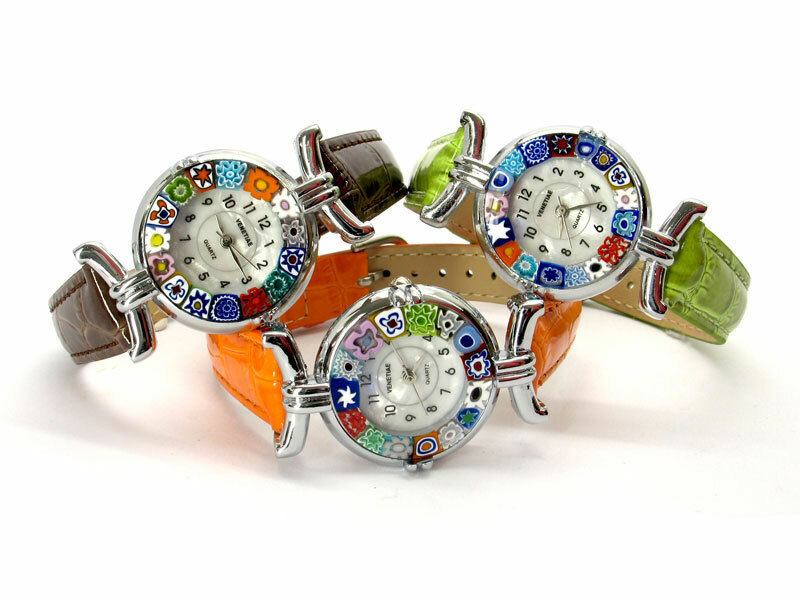 Murrina.it knows women and their tastes in style. This is why we have decided to research and create a vast and colorful selection of Murano glass jewelry pieces for our clients. What our craftsmanship can offer is famous for the beauty of its collections - all rigorously made in Venice - and for their unique and original shapes and colors. Wearing one or more pieces, hand made in our glass workshop, means wearing the history, the tradition and the distinctiveness of Venice. Our many reviews in the comment section confirm that these Venetian traits are and have always been appreciated in every country. Discover our authentic Murano glass artisanal products! All the fashion jewelry shown on this page is made in authentic Murano glass and is a Murrina.it exclusive, a company founded in Venice in 1970. We have gained long standing experience of creating and distributing jewelry made with Venetian murrinas: we are a touchstone for the worldwide known “Made in Italy” brand. Our real murrina glass jewelry – and all our fashion jewelry collections in general – claim over 1500 clients from 57 different countries. The Murrina.it company is and has been for decades, a solid “Made in Italy" reference model for the quality of our products, for our delivery punctuality and for our professional reliability. You can verify our efforts yourself by reading our client reviews in the Murrina.it comment section. In addition to Murano bracelets our company has available for its clients other precious creations, all typical of Venetian artistry. For example, we can mention pendants, earrings, jewelry sets, murrina glass watches, necklaces and rings. Our company has been reflecting quality and offering the best Murano fashion jewelry for 45 years. 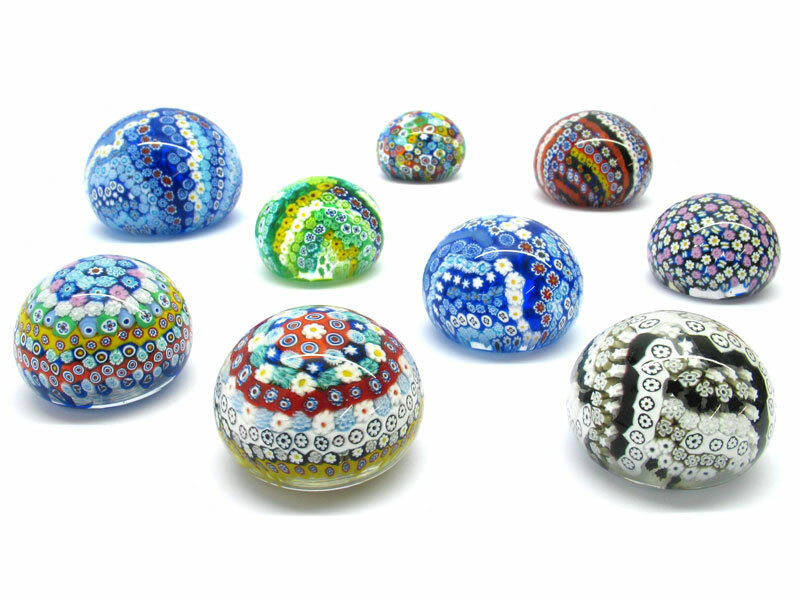 Each piece is made of real Venetian murrina and sold with the certificate of authenticity.